SEMINAR WILL BE HELD AT THE INTERORTHODOX CENTRE OF THE CHURCH OF GREECE IN ATHENS ON OCTOBER 13-14, 2018. A 2-day teacher training seminar focused on the theme “HOLOCAUST BY BULLETS IN THE OCCUPIED SOVIET TERRITORIES” is based on a unique methodology – “Learn, Teach, Apply” -created by YIU. The workshop offers a condensed historical overview of this unknown chapter of Holocaust history and provides teachers with practical educational tools to be used in classrooms. The emphasis is put on studying and teaching the Holocaust by Bullets as a crime and on making connections with today’s violence and human rights violations. 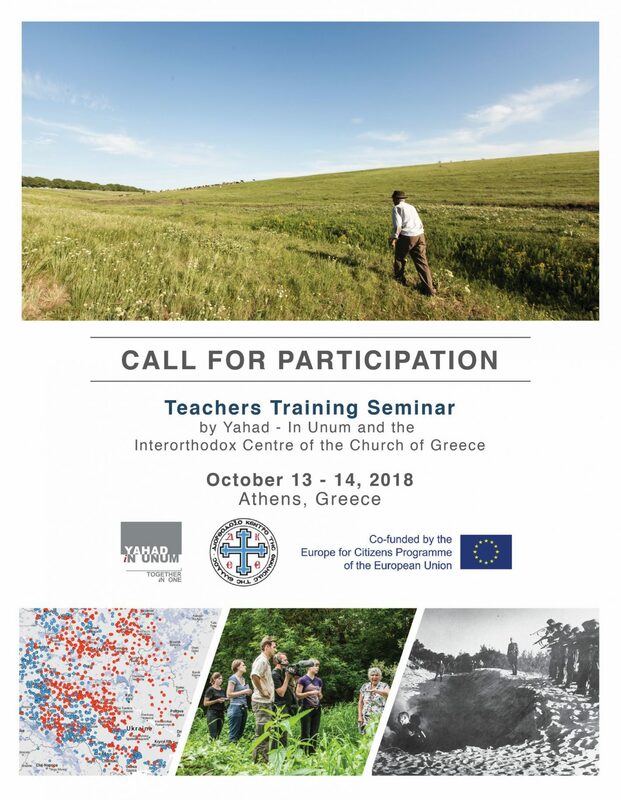 Teachers of history of Greek secondary and high schools and graduate students of historical and pedagogical faculties with teaching experience, specializing in the history of the Holocaust, will be selected on a competitive basis to participate in the program. To participate in the project please complete an online application. Application deadline: September 10, 2018. Participants will be notified about the admission results by September 21, 2018. The seminar will take place in ENGLISH.